Posted November 1, 2018 by Seán Kinane & filed under Elections, News and Public Affairs. 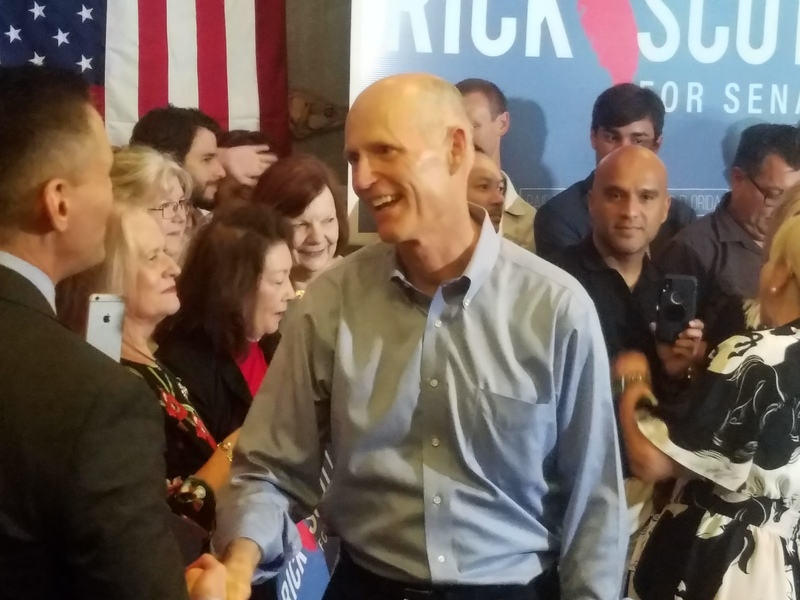 Florida Governor Rick Scott is running for the U.S. Senate against Senator Bill Nelson and five write-in candidates; Scott held a get-out-the vote rally Thursday afternoon in Tampa for about 80 supporters and staff. Afterward, Scott was asked by a reporter whether he agrees with President Donald Trump sending up to 15,000 military troops to the southern border, but Scott dodged the question twice. Earlier in the week, Scott wouldn’t answer the question of whether he agrees that Trump can deny people birthright citizenship that’s enshrined in the Fourteenth Amendment. During a speech, Gov. Scott contrasted his record with Sen. Nelson’s.